I first encountered the amazing works of Clay Images at the local art fair in Wichita, Kansas (before I moved away from home). 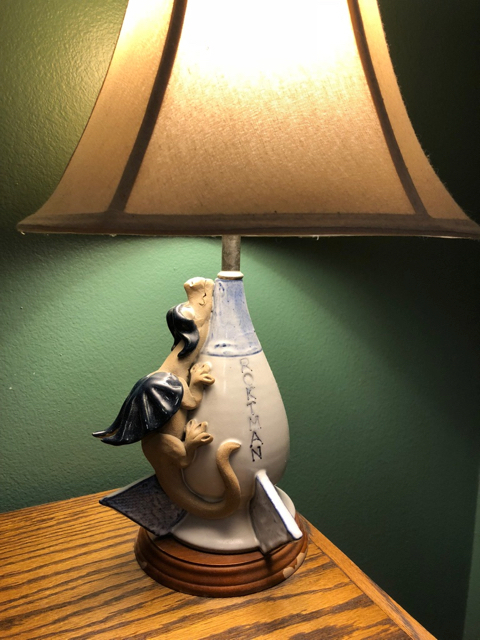 I immediately fell in love with their dragon sculptures and it wasn’t long before I had one of my very own. I got my first Clay Images oil lamp for my birthday, but it wasn’t just any birthday. My first child was born the day before my 23rd birthday, and when we finally got to take our new daughter home from the hospital and I got to open my birthday presents (and lets be honest its REALLY hard to beat the present I got at the hospital). It was this on this day I received my very first Clay Images oil lamp. My daughter just turned 19 last month and is in her first semester of college now. 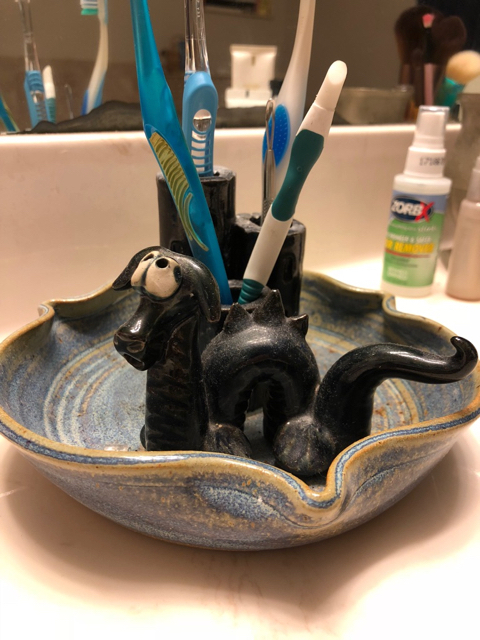 It turns out this awesome little dragon was just the beginning of a collection of functional art from Clay Images. I mean heck, if you are going to spend perfectly good money on a new bed side lamp or a new drink ware set why not get something you really enjoy and support some amazing local artists all at the same time. So over the last 19 years that is exactly what we have done. 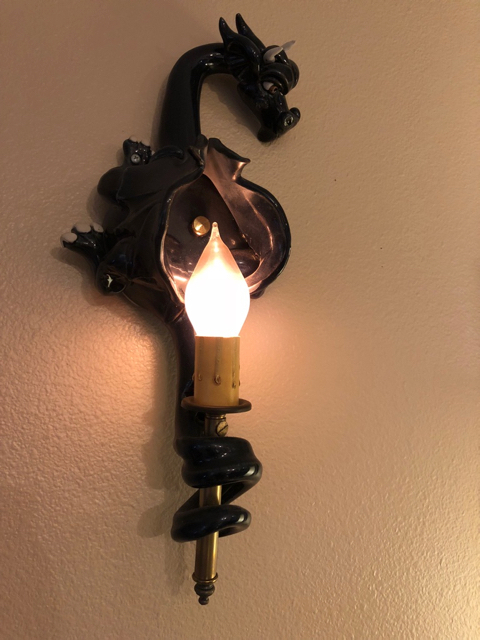 We have either purchased or received as gifts everything from toothbrush holders, to hot chocolate drink sets, to wind chimes, to wall sconces. And that even goes without mentioning all the oil lamps and incense burners. Oh, and did I forget the fish tank castle? Rather than list everything here I walked around our house and took pictures of all of our Clay Images functional art and below is a gallery of most (but not all) of our Clay Images collection. So if you are looking for a great gift for someone on your list this Christmas and you want to honor the tradition of small business Saturday, why not check out Clay Images. I checked with them today (Friday) and they do have some limited stock of items and plan to do one more kiln firing in December to accommodate special orders. So if you want something in time for the holidays you need to act fast!